In the past, I have been in the fortunate position to have worked with some of the most amazing wedding suppliers in Suffolk and across the UK, with many of which becoming great friends. I know that many of my prospective and current clients check out my blog from time to time to see what I’ve been up to, which got me thinking. What better way to introduce some of my trusted vendor friends to my clients than to give them the spotlight for 5 minutes here on my blog where they could tell us about their business, their inspirations and what makes them tick. So here you have it, a new series of interviews has been born, I hope you enjoy them. Today I had the chance to sit down with the lovely Daniel Woollard of L'Oreal award-winning Bohemia Hair, who are based in Suffolk, UK. Ross: For those readers who may not have come across your work before, please can you tell us a little about your background and how you got into hairdressing? Danny: I've been hairdressing for 20 years, after managing salons for other companies my business partner and I decided to start our own salon which we opened in September last year. Danny: I've always admired Vidal Sasson's approach to hairdressing, whenever you have your hair cut, the hairdresser will almost certainly use a technique that has been created or developed by Vidal or his company. There's not many people that have had such influential effect on an industry. As hairdressers, we are constantly drawing inspiration from music, fashion and popular culture, hairdressing is a part of those things, so as a salon we are always looking to see where things are heading. Ross: What trends are you currently seeing and how do you predict the future looks for wedding hair design in the UK? Danny: wedding styles are purely dependant upon the preferences of brides. We have brides that are going for a more vintage style and the style of their hair will reflect that, by using styling techniques from the 40's etc. 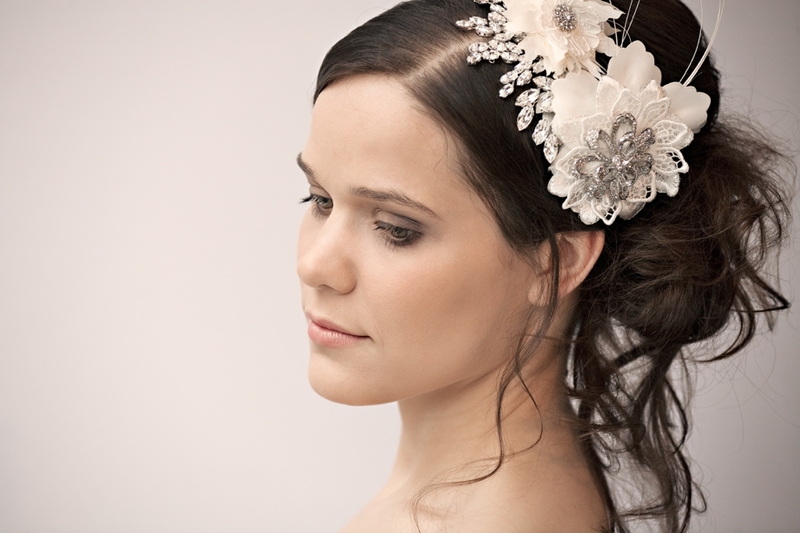 I think classic wedding hair styles will always be popular as style and elegance will never be unfashionable. Either way, as a salon we try to encourage individuality, by tailoring a style specifically for that client. Ross: How far in advance do you suggest brides come talk to you about their wedding hair? Danny: again it depends on the bride, if a client has a clear idea of what style they want it may only take one trial to decide on a finished look. In which case this can be done a couple of weeks before the wedding. However, if a client hasn't got a fixed idea it may take several visits therefore we we suggest starting to hair trial process sooner. Danny: There is actually a fantastic new wedding blog that is dedicated to wedding inspiration in the Suffolk region. I would really encourage your readers to check out The Suffolk Wedding Showcase. Ross: What advice would you give couples when choosing their wedding hair artist? Danny: Go for a consultation first, most salons should offer this service with no charge. It's good to discuss ideas and get a feel for the salon and the stylist, it's important to feel comfortable and confident.. If you don't. Try somewhere else ! Ross: Finally, what's the best thing about being a wedding hair artist? My thanks to Daniel for his time taken to chat with me. If you would like to speak to Daniel and his team about your wedding hair, please visit their website at http://www.bohemia-hair.co.uk You can also follow Bohemia Hair on Facebook & Twitter.